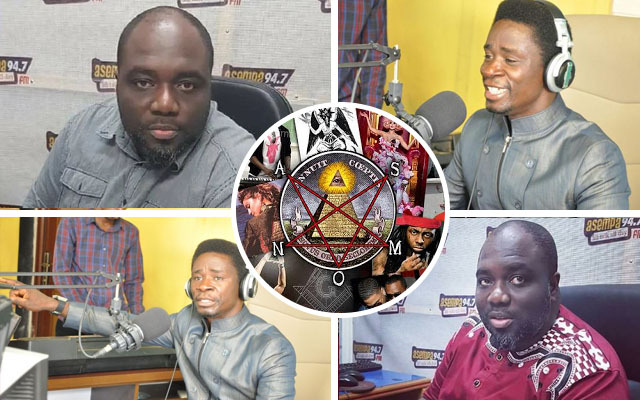 Popular Facebook Evangelist, Emmanuel Addai has alleged in latest exposition that, late Kwadwo Asare Baffour Acheampong, aka KABA was killed by Illuminati. It has become a norm for Evangelist Emmanuel Addai to relate without doubt every death of an influential personality to Illuminati. Ace broadcaster, KABA was confirmed dead on Saturday, November 18, 2017 by the doctors at the Korle-Bu Teaching Hospital. His sudden death came as a shock to almost very Ghanaian who knew him. Although the actual cause of his demise is not readily known, this Evangelist Emmanuel Addai has linked his death to illuminati. According to the social media Evangelist, late KABA joined the world’s occult group for fame and success by selling his soul to them. He noted in a video spotted on Youtube that, illuminati killed KABA after they gave him the fame and success. Watch the video below to ascertain the truth for yourself.